In the last years, public relations professionals have widely embraced reputation management as a way of explaining the value of public relations. 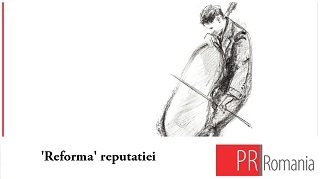 In this interview, my distinguish guest discusses about the weaknesses of cognitive representations such as reputation as useful concept in public relations theory and practice. I think no one has been more convincing and influential in this debate than James Grunig who provided strong evidence that our profession is theoretically and empirically closer to relationships than to reputation. James advises us to always challenge conventional wisdom and do not accept it without thought in order to become more effective and valuable. 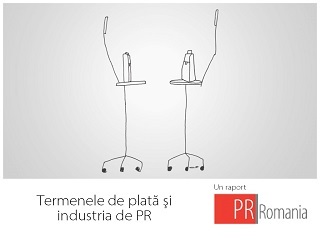 In the last years, PR professionals have strongly focused on the concept of reputation to explain the value of public relations. However, their practical approach is quite abstract and symbolic. Which practical and theoretical difficulties does the PR profession encounter because of this approach? Public relations has long been a profession subject to fads—at least subject to faddish concepts that seem to justify the value of common public relations practices. Most of the faddish concepts in public relations have been different types of cognitive representations—images, attitudes, perceptions, impressions, identities, reputations, and brands. Each of the concepts has a slightly different meaning and has different theorists responsible for it. However, at its root each concept is a mental or cognitive representation—what people think about something. 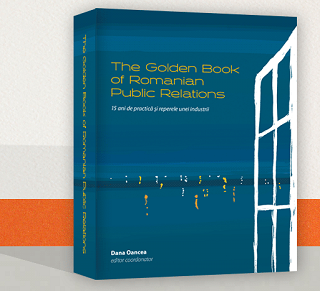 Public relations practitioners have long been producers of messages, distributed through the mass media, advertising, or other sources. They generally believe that their messages will affect the way people think about the organizations they represent. These messages generally have been one-way and asymmetrical—i.e., designed to make an organization look good or to cover up behaviors that members of publics object to. This is what Cees van Riel of the Netherlands has called buffering activities, activities that are supposed to create a protective cognitive buffer (abstract favorable thoughts) so that organizations can behave as they want without interference from publics affected by organizational behaviors. Reputation, and perhaps more recently, brand, have become popular names for such cognitive representations. Reputation became popular about 20 years ago when scholars in schools of business discovered the concept and attributed a great deal of intangible value to a positive reputation. Supposedly, a large percentage of a corporation’s market valuation, for example, could be attributed to its reputation. At the same time, business scholars typically thought of public relations only as a symbolic-interpretative (messaging) activity, as opposed to a strategic management activity. Thus, it became easy for public relations people to embrace the concept of reputation. After all, most of their activities were symbolic-interpretative in nature—producing messages (symbols) designed to change the way people think about an organization—and if these messages produced a good reputation then a way seemed to have been found to prove the value of symbolic-interpretive public relations. I believe there are many problems with this fairly simple logic. First, the intangible value attributed to reputation more logically seems to result from good relationships with publics, because our research shows that a reputation is created mostly through relationships and not through mediated messages. Second, the various scales and indexes used to measure reputation generally measure evaluations of organizational performance (such as financial performance, treatment of employees, or social responsibility) rather than reputation; and they typically ask people with little experience with an organization (i.e., no relationship) to rate these different aspects of performance. According to psychologist Dennis Bromley, a reputation is what people think and say about an organization. I have measured reputation simply by asking “What comes to mind when you hear the name (of the organization studied).” People who have an active or experiential relationship with that organization generally mention a behavior of the organization (such as “it spilled oil into the ocean”). Those who have a secondary, or symbolic relationship with the organization, typically mention abstract attributes (such as “large” or “irresponsible”) or associate the organization with other objects (such as CEOs or products). Typically, these abstract representations come from the media or secondary sources, but people don’t hold them for long (usually only until the end of the interview). So what really matters is the concrete relationship an organization has with its active stakeholders and not from the fleeting cognitive representations (reputations, brand, or image) that uninvolved nonpublics hold briefly in their heads. How does the profession suffer from this symbolic-interpretive approach? First, the public relations profession tries to prove its value by trying to sell the seemingly magical power of messages and by connecting these messages to poorly conceptualized and measured concepts such as reputation or image. Second, the profession forfeits a strategic management role for public relations—a chance to communicate symmetrically with publics, discover problems in an organization’s relationships with it stakeholders, and advise management on how to behave in order to cultivate good relationships with them and eventually produce a good reputation (good behaviors and positive organizational performance remembered by members of its publics). Many practitioners continue to lament about the incapacity of the industry to prove its value. Do you think that the current symbolic approach to reputation explain the frustrations and hesitations around the current measurement debate? I think the frustration primarily occurs because public relations practitioners do not want to change the things they do when they practice “public relations.” They know how to generate publicity and media coverage, and they do not want to or do not have the ability to become strategic managers of public relations. So, they want to prove the value of what they know how to do, even though most evaluative research shows that it doesn’t have much value. As I explained before, reputation has seemed to be a ready-made explanation of the value of symbolic-interpretive public relations. But, as I also said, careful conceptualization and research does not support this explanation. So, of course, it’s very frustrating to try to show the existence of something that doesn’t exist. If symbolic-interpretive activities don’t produce much value, the obvious solution is to do something different that does have value. Thus, the public relations profession must change to become more strategic before it will be able to show its value to organizations, publics, and society. Perhaps, the most important aspect of public relations as a strategic management function is the research that public relations professionals do to listen to, interact with, and communicate from publics to management. You have provided evidence that public relations activities have much stronger theoretical and practical link to relationships than to reputation. Do you think PR professionals should de-emphasize reputation as the focus of their work? I think many CEOs and clients of public relations firms value a good reputation, even though they generally don’t understand the concept very well. If that is the case, I see nothing wrong with using the concept of reputation when discussing the outcomes of public relations with our clients. However, we must also explain where reputation comes from—from relationships. We can measure both relationships and reputation. However, the logical order of effect is from symmetrical communication activities (also known as relationship cultivation strategies), to strategic management advice to clients and senior management, to responsible and sustainable behaviors by management, to good relationships, and finally to a good reputation. In other words, I think it would be easy to do without the concept of reputation in public relations, but if our clients want it we can explain to them how reputation results from relationships and not from symbolic-interpretive messages. How would this approach change the common thesis that value in public relations has a monetary face? Relationships and reputation cannot play in the same monetary league, can they? On the one hand, I believe that relationships and reputations are intangible assets, which do not have an immediate monetary value. However, intangible assets can eventually result in financial value. An intangible asset, such as good relationships with publics such as customers, employees, communities, governments, donors, or investors, can produce monetary value in one of three ways. It can increase revenue, reduce costs, or reduce risk. For example, a good relationship with a customer can increase revenue through sales or favorable recommendations to other, potential, customers. It’s important to recognize, however, that good relationships with customers usually result from good products, good customer service, and responsible interaction with customers—not from publicity or advertising. Similarly, good relationships with employees can reduce costs by reducing absenteeism, strikes, and negative information that employees often give to customers. Likewise, good relationships with activist groups (such as environmental or consumer organizations) can reduce the costs of negative publicity, government regulation, or litigation that these groups typically seek. Finally, organizations that behave responsibly and sustainably and that consistently cultivate good relationships with their stakeholder publics reduce the risk of increasing costs or reduced revenue that eventually result from irresponsible behavior and poor relationships. Nevertheless, the monetary value of relationships and reputation usually occurs over the long-term, it is usually lumpy (for example, a strike or a crisis may result in a huge, one-time loss, but that event doesn’t happen often), and it often results from events that are prevented from happening because of public relations activities (such as strikes, disasters, boycotts, falling stock prices, or government regulation.) As a result, it is very difficult to measure the monetary value of relationships or reputation. Logically, we know they eventually have monetary value. However, to measure the value of public relations we should measure the quality of relationships that results from public relations activities and logically infer the monetary value of these relationships. There are still too many professionals who believe they can manage reputation directly. What is your message for them? Think logically and conceptually about what you are doing, why you are doing it, and what effect it has. Then do research to test your ideas. If the research does not support what you believe, change what you do in order to become more effective and valuable. Conventional wisdom is the principal enemy of the public relations profession, so always challenge it and do not accept it without thought. And, finally, recognize the value that research has as a public relations activity—to listen to publics about their problems, to provide useful information to strategic managers making important organizational decisions, and to evaluate the outcome of public relations activities both in the short-term and as a long-term effect on relationships and, as a result, reputation. James E. Grunig is Professor Emeritus in the Department of Communication at the University of Maryland. He is the coauthor of “Managing Public Relations, Public Relations Techniques, Manager's Guide to Excellence in Public Relations and Communication Management”, and “Excellent Public Relations and Effective Organizations: A Study of Communication Management in Three Countries”. He was editor of “Excellence in Public Relations and Communication Management”. He has published 250 articles, books, chapters, papers, and reports. Grunig was named the first winner of the Pathfinder Award for excellence in academic research on public relations by the Institute for Public Relations Research and Education in 1984. In 1989, he received the Outstanding Educator Award of the Public Relations Society of America. In 1992, the PRSA Foundation awarded him the Jackson, Jackson & Wagner award for outstanding behavioral science research. He won the most prestigious lifetime award of the Association for Education in Journalism and Mass Communication (AEJMC) in 2000, the Paul J. Deutschmann Award for Excellence in Research. Interview by Dana Oancea, March 2016. Copyright PR Romania.